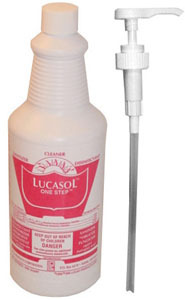 Lucasol Suntan Bed Cleaner 32oz. Tan Accessories: Lucasol Suntan Bed Cleaner 32oz. * Cleans, shines, deoderizes, and disinfects all in one step!